I have spent the last few weeks gaining a deeper understanding of the processes governing swirl atomisation. I want to report on that now, together with giving a bit more information on the gas centred swirl coaxial concept. My studies of swirl theory led me to believe that if the swirl chamber and outlet orifice were of the same diameter then the coefficient of discharge would be unity for all practical purposes. As previously mentioned, this swirler was formed by generating a two start, 3mm pitch metric trapezoidal thread on a 12mm diameter brass bar. The finished turned diameter of the swirler was 11.55mm. Due to the particular geometry of the profile tool used to cut this thread, it was not possible to depth it fully with a two start helix. Hence various precision measuring instruments and techniques were used to determine the key passage dimensions. The total equivalent flow area of the passages was calculated, using the equivalent diameter as defined in the last post. The total equivalent diameter of the swirl inducer above was 2.426 x 10^-3 metres. The swirler was made a transition fit in a short cylindrical body. The extremity of the inducer protruded approximately 1mm from the base of the body. In this way any swirl effects on the flow were eliminated. The measured flow would be the baseline level through the swirl inducer passages. The assembled unit was tested using mains water at a pressure of 500kPa (72psi). The first test was a simple check of pressure drop. This was measured as 70kPa (10 psi) using an in line gauge. This is a reasonable agreement given the limits of accuracy of both the flow area and flow rate measurement methods. Substituting the relevant values into (2) shows an equivalent diameter De of 2.433 x 10^-3 metres. This compares well with the calculation shown above. Next the swirl inducer was fitted into a body having a 15mm long x 11.5mm diameter swirl chamber. 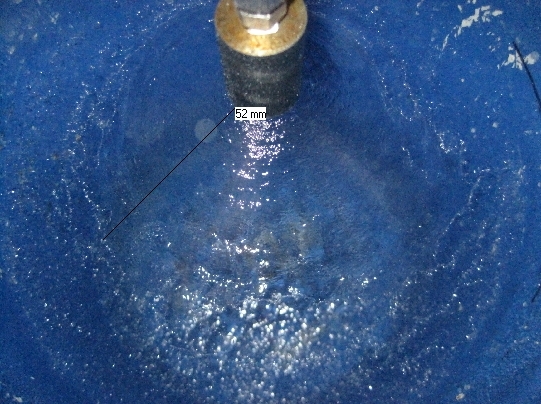 The swirl chamber was parallel all the way to the outlet orifice, creating a so called "open" swirl atomiser. The break up length gives some indication of the swirl angular velocity. 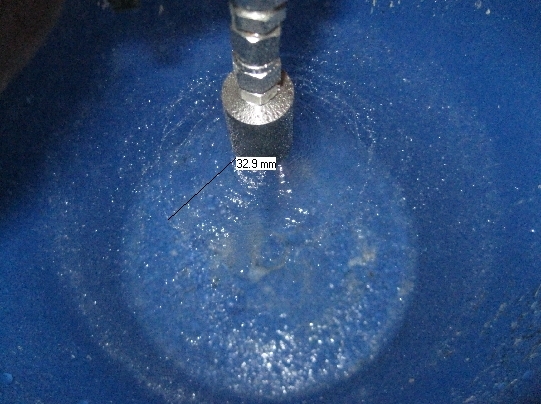 Due to the 15mm length of the swirl chamber, friction has reduced the velocity to the extent that the liquid viscosity and surface tension is able to resist the centrifugal disturbing force and produce a longer cone. The discharge time for 8 litres with this set up was 146 seconds. This gives a flow rate of 0.0547 kg/sec. This compares very well with the calculated value for the swirler and the baseline figure without interference from the swirl chamber. If anything, a Cd value of around 0.97 to 0.98 is being displayed. This is so close to 1 that it is tempting to write this off to measurement and timing errors. 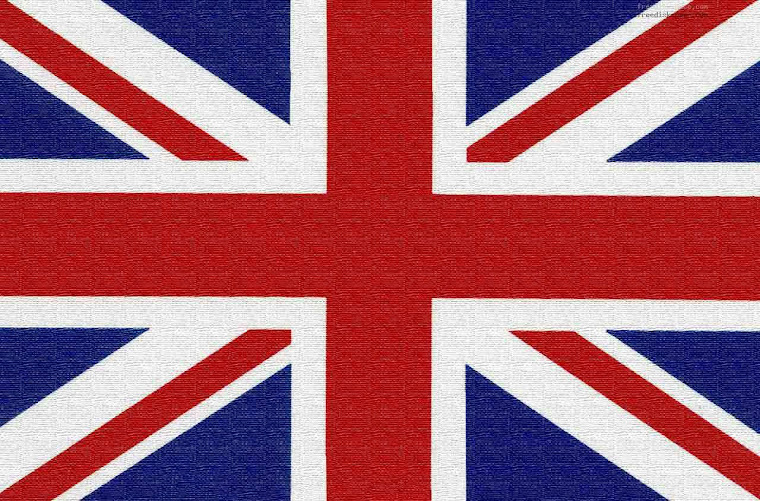 That said, for all practical purposes the Cd can be considered to be unity. The next trial was to investigate the length of the swirl chamber on the break up length and stability of the swirling cone. It should be emphasised here that a swirling external cone is not important in terms of the operation of a gas centred swirl coaxial injector. Rather the presence and condition of the cone is a metric of the quality of the internal swirling liquid film, which is an important parameter for a gas centred swirl device. The swirl chamber dimensions were reduced in 2mm increments by moving the swirl inducer towards the exit. It was found that the absolute minimum swirl chamber length for a stable cone was about 4mm. 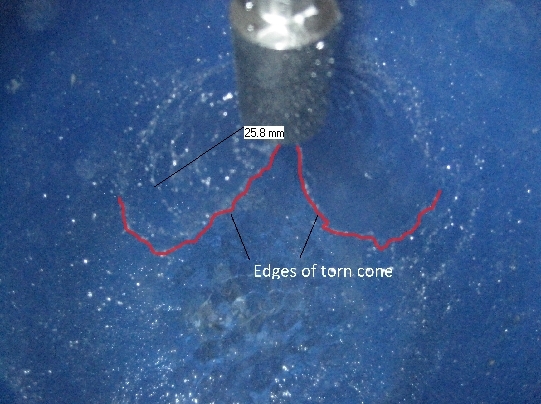 At 2mm swirl length the cone showed signs of instability (tearing). This could have been a symptom of shorter break up due to the reduced friction, but I believe that this explanation would produce an intact shorter cone, rather than the tear displayed. The shorter cone length can be seen here, as can the tear in the fabric of the cone. 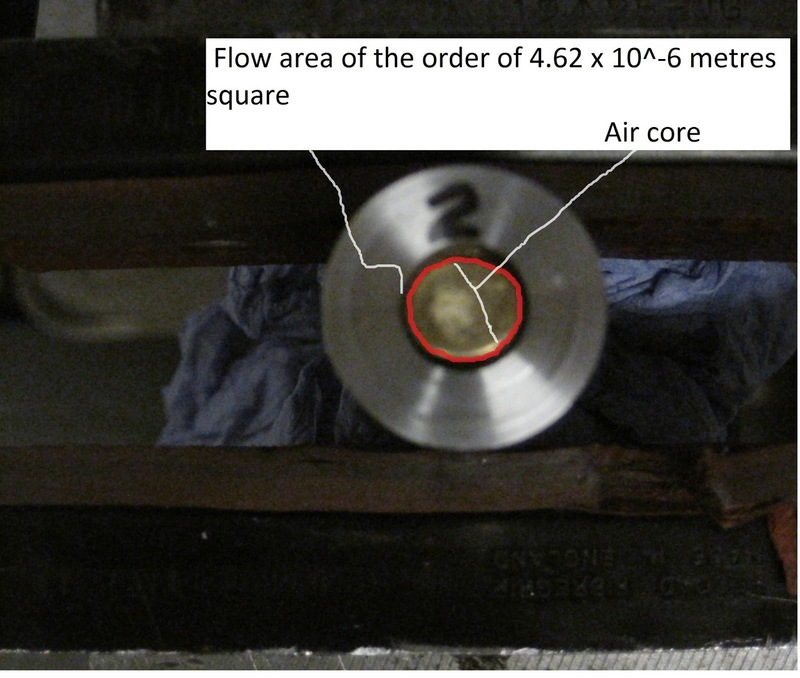 The flow rate for all of the swirl chamber length trials were of the order of 0.055 kg/sec. It has been mentioned that the quality of the internal swirling liquid film is an important performance parameter for the gas centred swirl injector. There are various empirically derived film thickness relations in Lefebvre. Performance of swirl atomisers is highly dependant on specific geometry. None of the methods in Lefebvre related to an open swirl atomiser. Not surprisingly they did not give very sensible results when tried. According to Dr. John Chinn of UMIST, the air core within a swirl atomiser adjusts itself to permit the maximum flow rate. This is known as the principle of maximum flow, and is analogous to the flow of water over a weir. This means that the exit diameter of the swirl atomiser is reduced by the diameter of the air core and effectively becomes an annulus. It was shown earlier that a swirl inducer equivalent diameter of 2.426 x 10^-3 metres was required to flow 0.055 kg/sec. As the same flow rate is exiting the atomiser, then the area of this annulus must be of the order of 4.62 x 10^-6 metres square. The air core in a standard swirl atomiser tapers outwards towards the exit diameter. In an open swirl atomiser the air core is parallel. Obviously I have no practical way of measuring this dimension apart from the assumption that particle size reflects film thickness to some degree. I had speculated in the previous post that the film thickness was of the order of 180 microns based on particle size. What does seem clear is that if the exit diameter is increased then film thickness should decrease. That would have a positive effect on atomisation and would also shorten the cone due to the thinner sheet having less resistance to inertial forces. That said, the friction from the larger swirl chamber wall surface area would tend to retard the angular velocity, somewhat negating this effect. It can be seen that the cone length has approximately halved. In addition, tearing can be seen on the cone surface suggesting it has been thinned. The discharge rate was still of the order of 0.055kg/sec. The approximate swirling liquid film thickness for the 13mm De value is 115 micron, so approximately half of that when the De was 11.5mm. For an effective gas centred swirl coaxial injector, a stable, thin swirling liquid film is essential. 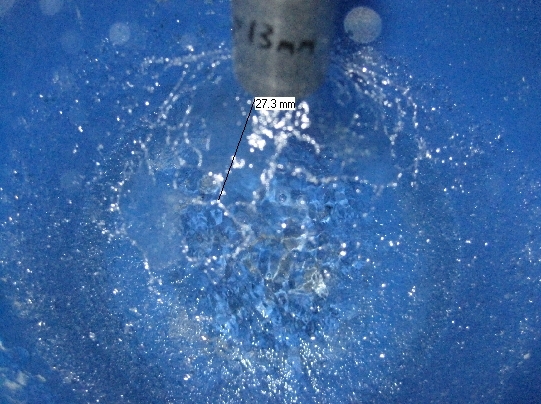 When this thin film is sheared by the central gas flow, very small droplets result. The possibility of swirling the central gas flow has occurred to me. I tried running compressed air at 690 kPa (100psi) through the swirl test unit. This produced a strong vacuum at the centre of the swirler, presumably where the air core was being generated. I suspect that in a production device this vacuum would disrupt the swirling film and lead to coalescence and droplet size increase. It may also lead to recirculation and attendant flow instabilities. These trials have provided some excellent information, all of which is highly pertinent to the design of a gas centred swirl coaxial injector. The design of this device can now commence. Keep watching this space. I just wanted you to know that there are folks like me who are fascinated by your posts, and really enjoy reading about your journey. Please keep posting. I can't wait to see you build an engine and test it. Firstly my apologies for the delay in replying to your comment. Thank you very much for your interest in my project and your encouraging words. My "knowledge" of atomisation is based on a solid engineering background, careful observation and common sense. So far it seems to be working. The project is taking far longer than I ever anticipated. I suppose I could have simply forged ahead and built a thrust chamber, only to stand and watch it melt/explode before my eyes. Rather I chose to build from the ground up; the result may turn out to be the same but I feel I will have learned a little more. Thanks again, British Reaction Research. Thank you for your comments and for informing me of the death of Professor Khavkin. It is gratifying to know that he spent his last days engaged in work he loved and close to his family. His intellectual legacy is a sound one, and I send my heartfelt condolences to his family.